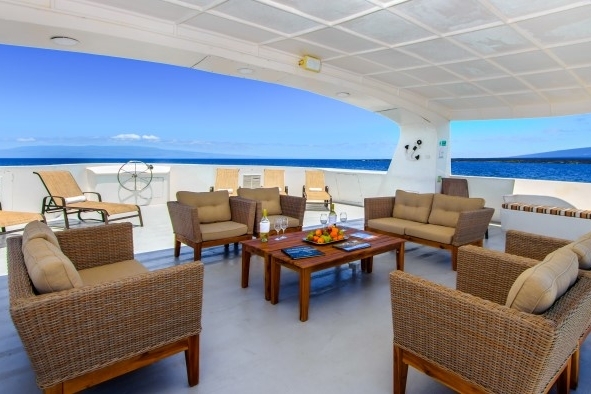 The M/C Treasure of Galapagos cruises around the islands of the unparalleled Galapagos Archipelago, where you'll certainly be fascinated as you travel from one island to the next. Each day the boat anchors at two carefully selected visitor's sites for exciting excursions. The itineraries are packed with activities in order to observe nature from different perspectives; on land and underwater. 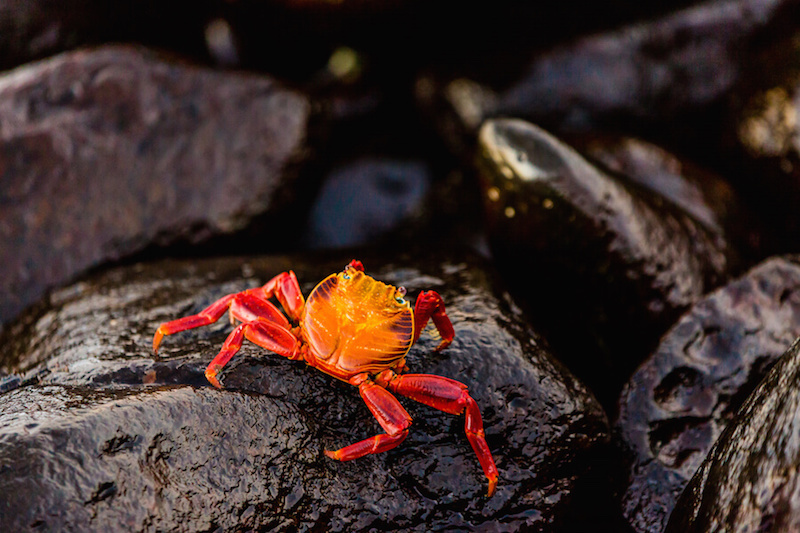 A cruise through the Galapagos Archipelago is a unique experience that you won't easily forget. It is up to you to select which itinerary best suits your wishes, interests and physical/medical condition. Route A, and the classic Route B, consist of relatively short and smooth navigations; while Route C is a little more adventurous with longer navigation times. Ready to get closer to nature than ever before? 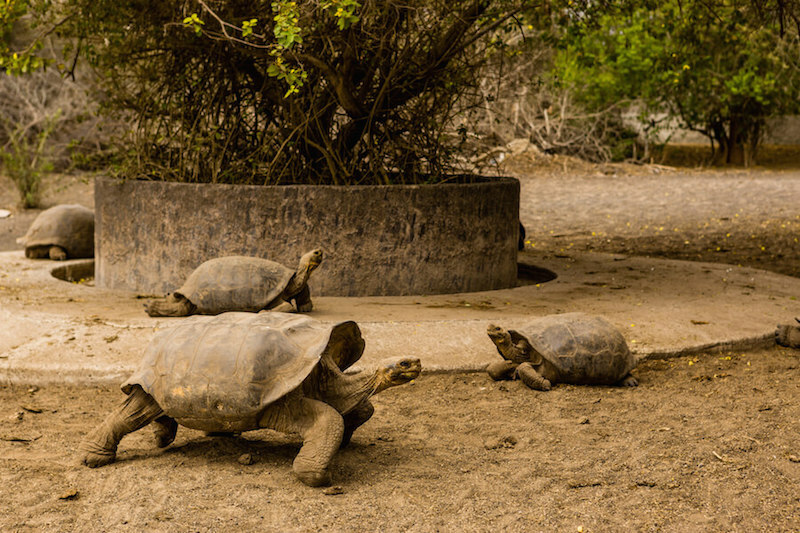 Enjoy a more intimate nature experience aboard the Treasure of Galapagos cruise. Small groups definitely make your nature and cruise experience more intimate and profound. With a maximum number of 16 passengers on board, your naturalist guide can easily respond to different individual interests. You can also spend more time in the field, increasing your chances to spot and observe wildlife. 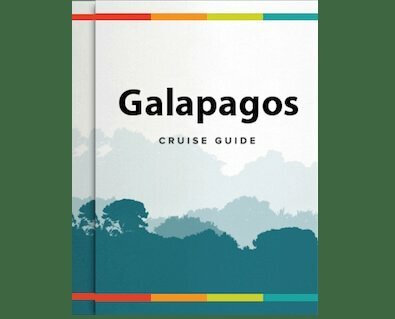 Without a doubt your on board naturalist guide is the crucial pivot for your experience in Galapagos. Being a first-class yacht, Treasure of Galapagos, contracts only best of National Park certified guides. The experts use their wide experience to lead the excursions, to search and identify species and point out interesting details; besides taking care for your safety and compliance of the indispensable conservation rules. Above all the guides share their knowledge, love and respect for the Galapagos’ stunning ecosystem. Their inspiring explanations (in English and Spanish) and fascinating stories about animal behaviour, intriguing ecosystems and survival strategies will give you a better understanding about the wonders of the islands; not only in the field, but also during lectures or daily briefings aboard. Unique to Galapagos is that every island harbors distinctive wildlife, and offers varying landscapes and climate zones. So which wildlife and what animal behaviour you get to see, depends largely on the season and which islands you visit. Each of the three fascinating itineraries give a different, but excellent experience on the islands. Needless to say that the catamaran also explores the fringes of the archipelago. Exclusive islands such as Española, Isabela and Fernandina are pristine and thanks to their isolated location, their natural residents have evolved absolutely independently into new, sometimes bizarre creations. The Treasure of Galapagos, a seaworthy catamaran, is considered one of most intimate cruise options in the Galapagos Islands. 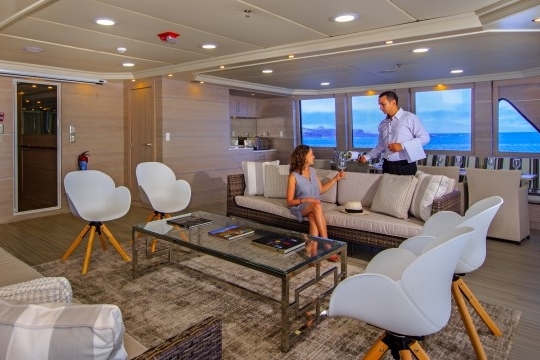 Every stateroom or master suite has a balcony to allow guests fantastic unrestricted views, and the vessel has a fantastic Jacuzzi. It is the perfect choice if you appreciate private comfort or if you dread seasickness; whether traveling single or for your romantic getaway! Follow in the footsteps of Charles Darwin and many others. The smooth sailing catamaran will make sure that 'Survival of the fittest' is observed, and not experienced!